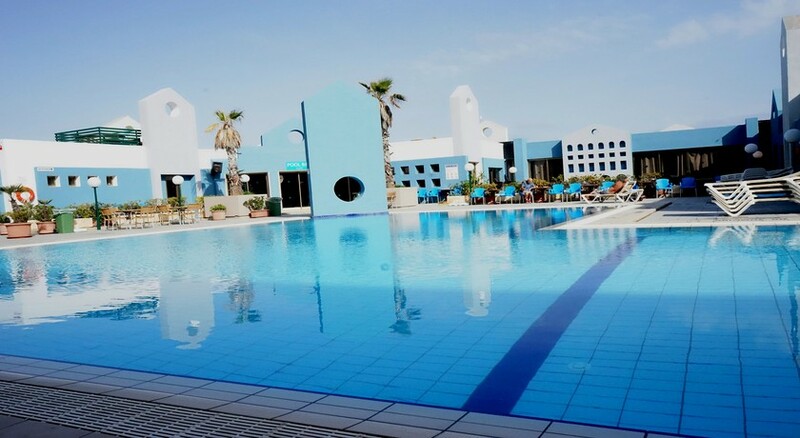 The St. George's Park is a 3-star family friendly resort located in the St Julians bay in Malta. Sitting in the heart of Paceville, probably the liveliest area of Malta buzzing with nightclubs, the hotel is a top favourite among solo travellers, couples and families. With an outdoor swimming pool, large sun terrace, a gym, a buffet restaurant, bars and lively entertainment, the hotel invites guests for a comfortable stay amidst warm Maltese hospitality. The comfortable guestrooms and studios equipped with satellite TV, en-suite bathrooms, hairdryers and fans. Barely 300m from the beach, guests can expect gorgeous views of the beach from the attached balconies/terraces. With close proximity to bars, restaurants and the St Julian’s Bus Terminus, makes the hotel an interesting accommodation choice. The St. George's Park is just 300m from the beach at St Julian’s. 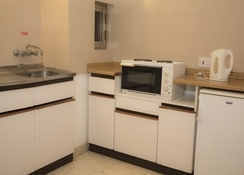 With close proximity to bars, restaurants and the St Julian’s Bus Terminus, this is based in a very strategic location. 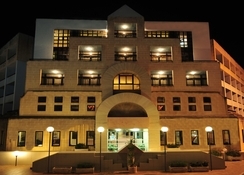 The Point Shopping Mall is 4.4km from the property while Manoel Theatre is 8km. The Malta International Airport is 10.7km from the property. The St. George's Park Hotel has 400 non-smoking guestrooms that offer magnificent views of the sea. The rooms come in categories like twin room, triple room, quadruple room, similar rooms with terraces and studios and can accommodate up to four guests. Each room comes with a private bathroom, satellite TV, fan, a private balcony or terrace. 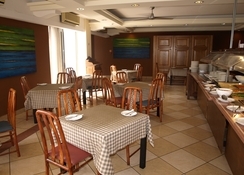 The St. George's Park Hotel has a buffet restaurant that serves local and international delicacies for breakfast, lunch and dinner. Expert chefs dish out local and international fare prepared from the freshest of ingredients in the buffet. 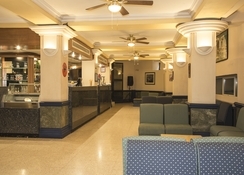 There is also a lounge bar and a pool bar where guests can relax with refreshing cocktails. The St. George's Park Hotel has two outdoor pools, an indoor pool and one for children. There is a sun terrace equipped with sun chairs and parasols where guests can soak up the sun. For those who wish to stay active, there is a fully-equipped gym. The hotel arranges lively entertainment during summer months. There is free Wi-Fi across the hotel and guests can relax with a drink at the lounge bar or the pool bar. 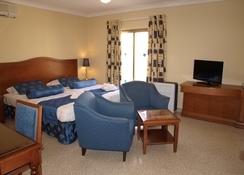 With a 24-hour reception and car rentals, the hotel offers guests plenty of services to enjoy their stay. absolutly fantastic an will be going back again. great location and freindly staff. Lovely hotel but they couldnt find our booking at first and when they did they upgraded us to a 2 bedroom apartment, which was nice and roomy with 2 balconys.